During the caliphate of 'Umar bin 'Abdul-'Aziz, a woman traveled from Iraq to come and meet him. "When she arrived at his abode, she asked whether there was a guard to prevent people from going inside to meet him. They told her, "No, enter if you wish." The woman entered and saw Fatimah, the wife of 'Umar. She was sitting down at the time, spinning some cotton. The woman extended greetings of peace; Fatimah returned the greetings and told her to come inside. As soon as the woman sat down, she began to look around, and was surprised to find that there was nothing of value or of importance in the house. Without realizing that she was speaking out loud, she said, "I carne to build and furnish my house from this house, which I have found to be empty and barren." Fatimah said, "The emptiness and barrenness of this house allows for the construction and adornment of houses such as YOllIS." 'Umar entered the house, gave greetings of peace, and then asked his wife about the woman. He took out a bunch of grapes, chose the best ones, and gave them to his . wife, so that she could then offer them to the visitor. He then approached her and asked, "What is your need?" She said, "I am a woman from the inhabitants of Iraq, and I have five daughters who cannot work and who have with them no material possessions. I came to you hoping that you might be willing to help them." Be began to cry, took out his inkstand and papers, and wrote a letter to the governor of Iraq. He asked the woman the name of her eldest daughter, and when she told him, he wrote down an amount that was to be given to her. Upon realizing that, the woman praised Allah (the Exalted), he then asked her the names of her second, third, and fourth daughters. The woman informed him and praised Allah. "When she realized that he had bestowed money upon all of them, she became so happy that she supplicated for him. She left his house with the paper that she was to give to the governor of Iraq, and after a long travel, when she reached her home; she went to the governor to give him the piece of paper. "When she gave it to him, he began to cry for a long time, and then he said, "May Allah have mercy on the writer of this letter." She said, "Has news come to you of his death?" He said' "Yes.” She screamed but he told her not to worry, and that he going to give the allotted portion to her in any case. 1250. Abu Qatadah (May Allah be pleased with him) reported: The Messenger of Allah (sallallaahu ’alayhi wa sallam) was asked about the observance of Saum (fasting) on the day of `Arafah. He said, "It is an expiation for the sins of the preceding year and the current year.''[Muslim]. [Muslim].Commentary: The ninth day of Dhul-Hijjah is called Yaum-`Arafah . On this day, pilgrims stop and stand in prayers at `Arafat which is the most important ritual of Hajj, so much so that Hajj is deemed incomplete without it. On that day, the pilgrims are engaged in the remembrance of Allah and prayers as that is their most important worship on that day. For this reason, Saum is not desirable for them, but for other people, Saum has a special merit. The importance and merit of this Saum can be judged from the fact that it expiates sins for two consecutive years: the previous year and the current year. But these sins relate only to the minor sins, not the major ones, or become a means of elevation of one's status. There are plots, there are conspiracies, and history of more than 1400 years has proved beyond any doubt they will not succeed. They will never succeed in their plots. Allah the Most Exalted will always help the Momin to destroy such plots. In this story how Allah SubhaWaTala guided the ruler Nooruddin Zangi about the plot and he destroyed it. We have Faith, and InshaAllah We will fight for the Honor of Our Believed Prophet, We love Him and Allah SubhanWaTala more than our lives, more than anything else and we will die for His Honor. This is true and this is absolute words of truth. We will keep our promise we have blood flowing in our body and history has proved it again and again. My dear friend this is the time to keep our promise, to Protect the Honor of Our Prophet Peace Be Upon Him. This can be done with just words, no, commit yourself fully to Allah and His Messenger. (6:162) Say: 'Surely my Prayer, all my acts of worship, *143and my living and my dying are for Allah alone, the Lord of the whole universe. (68:4) and you are certainly on the most exalted standard of moral excellence. (33:21) Surely there was a good example for you in the Messenger of Allah, for all those who look forward to Allah and the Last Day and remember Allah much. That is, "The Prophet's life is model for the person who him who remembers Allah much and consistently and not only occasionally just by chance. It is most surely a model for the person who is hopeful of Allah's grace and His favors, and who is also mindful that the Day of Judgment will come when his well-being will wholly depend on how closely his conduct resembled the conduct and character of the Messenger of Allah in this world. " How will we protect the Honor, there may many answers to the question. Many of them are true. Let us promise ourselves we will protect His Honor, by following the Path Messenger of Allah shown to us. Prophet is best example for us if we want to succeed Here and Hereafter, the only way is adopt it in our Life. Adopt the role model, which we clay we love, my dear friends the only way to prove, “We Love” our Prophet Peace Be Upon Him is adopting it in our life. Changes, Change starts from self, and call the people to this Great Change, when we start this journey of change from self, and start calling everyone to this change. Prophet is Mercy to Mankind, He is Prophet for All. Change yourself to Islam, in Day and In Night, call everyone to this. This is way to Protect The Honor of Our Prophet Peace be Upon Him, whom we love most. History books contain the mention of an amazing incident that took place in the year 557. At the time, the 'Abbasid dynasty was experiencing a sharp decline. As the lands of the Muslims became plagued by weakness and even chaos, some Christians got together and plotted to remove the Prophet's body from his grave and to transport it back to their own lands, in what would obviously be a serious blow to the morale of the Muslims. For this diabolical plot, they sent two men to Madinah, both of whom disguised themselves in Moroccan garments and claimed to be travelers who came to visit the holy city. The two men stayed in a well-known house that was adjacent to the Prophet's Masjid. In order to blend in with their milieu, they performed acts of worship in a conspicuous manner, always hoping to be seen by others in order to gain their trust. But on the inside, they were plotting to achieve the task for which they had been sent. Prophet's grave. Every day, they would dig a little bit, placing the extra dirt in bags. They of course did not want to be seen by anyone when they would dispose of the extra dirt, and so they would get rid of it while they would take their daily walk in Al-Baqi', the famous graveyard of Madinah. As they would walk through the graveyard, they would slowly pour out the dirt from underneath their cloaks. And all the while they would be giving others the impression that they were visiting the graveyard in order to remember death and the hereafter. Muhammad then woke up, both frightened and agitated. In order to calm his nerves, he stood up to pray, .after which he went back to sleep. But during that night, he saw the same dream three times. When he woke up the third time, he summoned one of his ministers to come to him. That minister was Jamaluddin Al-Musili, a wise minister who was a practicing, righteous Muslim. When the ruler finished telling him about his dream, Jamaluddin said, "This is concerning something that is happening in Madinah. Go now to the Prophet's city and keep secret what you have seen." For the remainder of that night, Nuruddin Muhammad made preparations to leave. 20 mounts were loaded, and 20 men, one of them being Jamaluddin, made preparations to go with their leader. They made the journey from Ash-Sham (Syria and surrounding regions) ' to Madinah in 16 days. 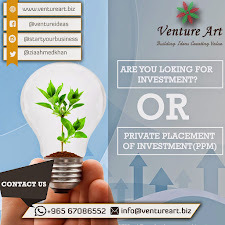 When, they reached ·their destination, Nuruddin Muhamma went to -Ar-Rauda (a special place in the Prophet's Masjid) and prayed, but as of yet, he had no idea what he should do about his dream. His minister, Jamaluddin, asked him if he remembered what the two people he saw in his dream looked like. Nuruddin Muhammad said that he remembered them clearly, and that if he were to see them now, he would certainly recognize them. Jamaluddin had a plan to apprehend the two men, and he immediately put it into action. When the inhabitants of Madinah were gathered in the Masjid, Iamaluddin made the following announcement: "Indeed, the ruler has brought with him a great deal of wealth that has been earmarked for charity. Have the poor ones among you register their names, and then bring them, so that each can take his fair share." While each person came to take a share of the handout, Nuruddin Muhammad was standing right there, looking at each person, in the hope of seeing one or both of the men he saw in his dream. Many people came and went, but Nuruddin Muhammad saw no one who resembled either of the two men. He then asked, "Is there anyone left who still has not taken his share?" Someone said, "There remain two men from Morocco; they refuse to take their share, and indeed, they are both very righteous." "Bring them to me," were the immediate words that came out of Nuruddin Muhammad's mouth. When the two men were brought before him, Nuruddin Muhammad immediately recognized them: they were the two men that the Prophet PBUH pointed to in his dream. Nuruddin asked them, "Where are you from?" They said, "We are from the West, and we have come here in order to perform Hajj. After we arrived, we decided to stay here this year." Perhaps their plot was not exactly clear to Nuruddin at that moment, but he knew they were guilty of something, and so he continued to interrogate them, hoping that they would confess their crime, whatever it was. But they kept to their story, and with no proof against them, Nuruddin couldn't justly take any steps against them. Nuruddin then ordered for their home to be searched. After a thorough search, they found nothing peculiar save a large amount of money that the two men had stored in their home. As everyone began to file out of the two men's home, Allah guided Nuruddin to look at the wooden floor. One of its boards was loose, and Nuruddin stooped down to have a closer look. He realized that the board was not attached solidly to the floor, and so he picked it up. The people of Madinah were shocked to see the entrance of a tunnel and even more shocked to see where it led to, for they had been certain that the two men were righteous Muslims. After being beaten by the irate ruler, the two men confessed that they weren't really from the West, but were instead two Christians who had been sent by their leaders with a great deal of wealth that was paid to them upfront for the job of removing the Prophet PBUH from his grave and transporting the body back to their lands. Nuruddin ordered for the two men to be executed and for the tunnel to be blocked up and filled with dirt. When these two orders were executed, he returned to Ash-Sham. And Allah knows best. .
(105:1) Have you not seen * how your Lord dealt with the people of the elephants? (105:2) Did He not bring their plan to naught? (105:5) and made them like straw eaten up (by cattle). 2. Jihad has great eminence in Islam. Shaikhul-Islam, Ibn Taimiyyah , said that there are those from the people that backbite or listen to backbiting, and they do so to please the company they keep, with the awareness that the victim is likely to be innocent of some of the things that are uttered about him. Often such offenders feel that if they were to attempt to end such conversation in a gathering, their presence might become unwelcome or burdensome. There are many methods and guises that are employed when one mentions another in a negative way. Under the pretense of being informative, one could say that it is not one's habit to mention others, except for the sake of relating another's condition to someone. Or one could state that by Allah, indeed so and so is one to be pitied, thereby showing superiority over one who is to be rejected. Another method might be to say that so-and-so is a good person; however, he has such and such qualities. Again, one is justified in revealing another's faults. One could also simply state that we should forget so-and-so, and make supplication for their forgiveness as well as our own, intending only to belittle the one that was mentioned. In reality, all these tactics are designed to try to deceive Allah (the Exalted) and to please the creation; and in reality, the many that follow these methods only serve to deceive themselves. Then there are those that backbite to raise their own status. When they hear of someone's error, they employ words like, I had I prayed for so-and-so last night in my prayed, the news of their sin would not have reached my ears." Again, when a person states of another that he lacks understanding in a matter, the implication is personal superiority for the one that mentions the other's shortcoming. There are also those that couple jealousy with backbiting the act of being critical or belittling to those that are praised in the company of others. Some people also backbite for the sake of humor, playfulness and lightheartedness. A person finds a certain amount of satisfaction from being appreciated for his story-telling abilities; speaking ill of someone in a humorous fashion adds flavor to a tale. Others engage in backbiting by showing surprise 'and amazement at another's actions. How is it that someone could do such a thing? Yet others mention people and their actions with the pretense of sympathy for their actions or misfortunes. In reality, the one who backbites actually finds contentment and satisfaction at the mention of others and their misdeeds. Another form of backbiting is relating some ones misfortune to their enemies, so that they, too, may find pleasure in putting them down. From these examples, one can surmise that backbiting pertains to a disease of the heart... May Allah save us from this most evil of actions and protect us from its temptations. The Thiruvananthapuram outlet of Kentucky Fried Chicken (KFC) was temporarily shut down on Monday after live worms were found in the chicken served to a customer. Shiju Abdul Basheer had ordered a dish of fiery chicken. But when his wife cut a piece to feed her little daughter, she found worms wiggling in it. The restaurant staff apologized and offered to replace the dish. “When I refused, they tried to take it away forcibly. Then, the other customers intervened and alerted the police and the food safety officials,” said Basheer. Basheer and his brother, who had some of the chicken earlier, showed symptoms of food poisoning when they reached home. They had to be hospitalized. The authorities raided the outlet and seized bags of chicken that were four to five months old. “We have sent 13 samples for examination. The outlet can’t open till the reports come,” said an official of the food safety department. The incident comes in the wake of a clampdown on unhygienic food joints, which occurred after a man died two months ago after consuming sheverma (an Arab dish) in Thiruvananthapuram. On Monday night, the KFC outlets in Kozhikode and Kochi were raided. “It is impossible for worms to stay alive in chicken pieces fried at 260 degrees Celsius. We don’t know how it happened,” said M Najeeb, manager of the Kozhikode outlet. An international branch of McDonald's in Finland served up more than one customer wanted in his burger. The customer discovered a live black worm lurking in his burger slathered sauce. Vuotias Helsinkiläismies, 22, treated himself to a take-out two euro burger from McDonald's. When he arrived home and unwrapped his hamburger he made a disgusting discovery as the worm crawled out of his food. Voice Finland reported that the man immediately contacted McDonald's to complain. The branch manager apologized, requested the offending burger and its worm returned to the restaurant, and offered him a credit for the McDonald's meal of his choice. However, Helsinkiläismies decided it was not worth spending 2.7 euros on the bus-fare to return for another burger. Instead he has sealed the worm inside the burger and popped it inside his fridge until he has the opportunity to return the tainted food to McDonald's. Helsinkiläismies considers it lucky that he spotted the worm before eating it and now hopes the restaurant will focus more on quality control. MSNBC sent a Dateline team to check if "America’s top 10 fast food chains are clean and safe." Amongst their rather unpleasant discoveries they found a worm in a Wendy's salad, making Wendy's a choice to avoid if the Finnish man decides to take a State side trip. The receptors are made from HEK293 -- HEK stands for Human Embryonic Kidney cells, with 293 denoting that the HEK was from the 293rd experiment. HEK293 originally came from a healthy, electively aborted baby whose cells were then harvested and cloned. Since they are not actually ingredients but rather 'enhancers' they are not required to be listed in a package's ingredients except as 'artificial flavors' ... [And] because very small amounts of the additives are used ... Senomyx's chemicals have not undergone the FDA's usual safety approval process for food additives." It's no secret that most processed foods contain a variety of "artificial" and "natural" flavors intended to make you crave a certain brand of chips or cookies over another. But what is largely unknown to most consumers is that a new variety of food additive is already on the market and probably in some of your favorite snack foods. These new additives are unique because they are not flavors at all. They are chemicals that contain no flavor of their own, rather they activate or block taste receptors in your mouth. The chemicals can mimic or enhance the taste of sugar, salt and monosodium glutamate (MSG), for example. Amazingly, these flavor-altering compounds are used in small amounts (less than one part per million), which means companies like Senomyx do not have to go through the Food and Drug Administration's (FDA) approval process typically necessary to release food additives. Instead of the lengthy FDA process, the compound only has to be classified as "generally recognized as safe" (GRAS) by the Flavor and Extract Manufacturers Association -- a process that can take as little as 18 months, with a mere 3 months of safety testing on rats. 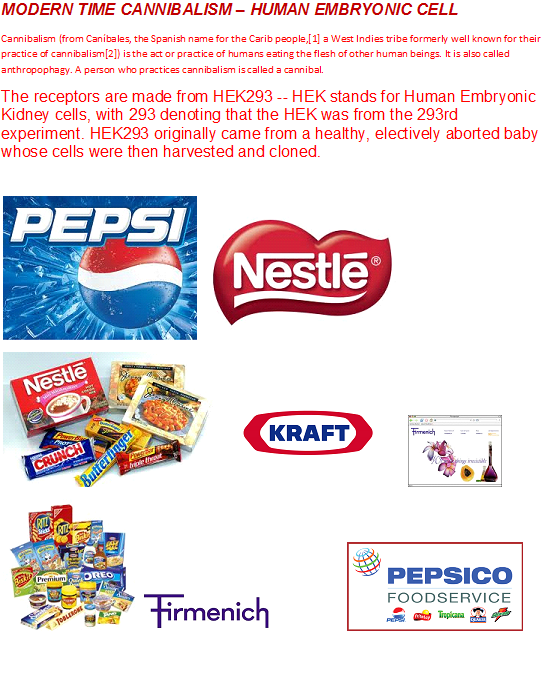 "Unlike artificial sweeteners, Senomyx's chemical compounds will not be listed separately on ingredient labels. Instead, they will be lumped into a broad category -- "artificial flavors" -- already found on most packaged food labels." Cancer is a disease of modern time which is causing havoc and no one is spared from it. Even the 4 heads of states of Latin American Countries are facing it at the same time. One of the leader and President of Venezuela Hugo Chavez said it is planted by American. Apart from these discussion cancer is one of the most deadly disease, it can wait for some time, you live 5, 10 up to 20 years but death is sure once it caught. The research and experiments shows it is purely a man-made disease. It is purely depends upon life style and eating habits of the people and there is only one way to stay fit and i.e. change your life style. Tobacco is one of the most important causes of Cancer and everybody knows about it and governments are trying to control it by different means, most importantly putting warning on every pocket that it will cause cancer. Making laws not to smoke in public and prohibiting its sale to under-age. Nothing is working, is an issue. The sale and consumption of tobacco related products are increasing day by day and cost of tobacco related diseases on health care is increasing day by day. Bhutan is the first country in the world to ban all types of tobacco sale, soon late us hope every country make same law. I am talking about the known things and people those products of which peoples are aware of. I am talking of those of which most of the people do not know and consumes. Government and policy makers do not want to talk about. Should the Cancer Warning be made on every product which contents the chemicals causing the cancer? The real issue is unsuspecting people eating cancer causing products. Junk food contains additives and artificial flavors which increases toxic load and can cause cancer. Cancer is basically caused by the life style and continuous exposure to chemical causing cancer including which are present in food. Pepsi and other Producers are using artificial chemicals and flavors which can cause cancer. Even though it is mandatory to put label they are avoiding it by using different gimmicks. In one of the interesting case which is prejudice in USA, a consumer which complaint that; he has found a rat in his Mountain Dew Can. The lawyers of the company are arguing that, it cannot contain a full rat because; it has chemicals which can dissolve rat. There is no issue a rat can come all the way into can. This is very strong chemical which consumers are drinking without knowing what they are drinking and this can cause them many diseases. Cancer is, by and large, a man-made disease caused by a highly unnatural lifestyle and continuous exposures to excess chemicals, including chemicals in your food. NaturalNews) While drinking Mountain Dew, have you ever seen (or perhaps felt on your tongue) a thick, jelly-like substance? Maybe you assumed the ingredients in the soda had gelled. According to Mountain Dew manufacturer Pepsi, you may have been ingesting some extra protein with your beverage in the form of a liquified rodent. NaturalNews has reported many times in the past on the health dangers of soda, including the fact that Mountain Dew and other fruit-flavored beverages contain a flame retardant chemical (http://www.naturalnews.com/034448_brominated_vegetable_oil_soft_drinks_chemical.html). The bright green color of this soda obviously derives from food colorings, many of which also have negative health consequences. Pepsi and Coke may cause Cancer? One has to wonder if this warning would drastically affect the sales of these beverages. Don’t cigarette packages have dire warnings with disturbing graphics printed on their labels? Have not other food products also been linked to cancer, such as aspartame and other synthetic sweeteners and food additive products. So what is it and is there a real concern over 4-MEI? This is a story of one of the great scholar of Islam whose name and work will be studied and whose narrations of Quotes of Prophets Peace be Upon Him will be read till the end of world. He will be remembered and so is his mother. His name is Muhammad bin Ismail al Bukhari who wrote the Book of Hadith Sahih Bukhari. When this young boy lost his eye sight his mother got worried. Her strong faith in Allah made her to Allah day and night, and her Prayers are answered. Many centuries ago, a woman married a man named, Ismail, who, having studied under the tutelage of Imam Malik, became a venerable scholar in his own right. ‘One of the fruits of their blessed marriage was the birth of a son, whom they named Muhammad. Shortly afterwards, however, Ismail died, leaving behind a great deal of wealth for his wife and young son. The mother then took up the full responsibility of giving her son a good Islamic upbringing. She might have had ideas about her son becoming a noble scholar, but sadly, there was a barrier preventing that from happening.7. .the boy was blind. These days, it is perhaps not so impossible for someone who is blind to pursue a higher education. Yet in those days, in order to become a scholar one had to travel from country to country and from Shaikh to Shaikh,something that was of course difficult for a blind person. Yet the mother did not lose hope: with sincerity and good intention, she constantly invoked Allah for help. Then one night, while she was sleeping, she saw the Prophet Ibrahim AlaihiSalam in a dream. He said to her, "Indeed, because of your many supplications, Allah has returned your son's sight back to him." The woman woke up with a start, went to her son, and saw that the dream had come true. How perfect Allah is! Indeed, He is the One Who answers the supplications of those who are in need. After Allah blessed her son, Muhammad bin Ismail, with the ability to see again, the mother set him on a course of studying and learning. Later ill his life, that boy grew up to compile a book that is the second most authentic book in the world - the most authentic being the Book of Allah. The name of that book is Sahib. Bukhari. Yes, its author's full name is Muhammad bin Ismail Al-Bukhari, whom Allah blessed with knowledge, a brilliant mind, and a retentive memory. Labels: bukhari, DUA, hadith, Islam, mother, muhammad bin ismail, narration, sahih bukhari, son, supplications. Taqawa is all about Love to Allah. Taqawa is only way to get close to Allah. These are the points mentioned by Ibn Qayyim on how to get close to Allah. Recitation of the Qur'an with reflection and with understanding of its meanings. Seeking closeness to Allah by performing voluntary deeds after having performed obligatory ones, for that leads one to the highest levels of love. Remembering Allah during every situation – with one's time, heart and deeds ... one's share of that love is to the degree of one's share in that remembrance. Preferring what He loves to what you love when your desires are strong. Allowing your heart to reflect on His Names and Attributes. Reflecting on His many favors and blessings, both the apparent ones arid hidden ones, for that leads to His love. Having your heart softened as it is worshipping Allah. Being alone with Him in worship when He descends during the last third of the night. And this means to invoke Him, to recite His Speech, to stand with all sincerity and with good manners and with good submission, and then to end that with repentance and with seeking His forgiveness. Sitting with those who are truthful in their love of Allah. Staying away from all that creates barriers between the heart and Allah. If you want child ask forgiveness from Allah, Wealth ask Forgiveness and Rain and All Material Gain just ask Forgiveness and Allah will bestow you everything. (71:10) I said to them: “Ask forgiveness from your Lord; surely He is Most Forgiving. (71:12) and will provide you with wealth and children, and will bestow upon you gardens and rivers. This theme has been expressed at several places in the Qur'an that the rebellious attitude against God causes man to lead a wretched life not only in the Hereafter but also in this world, Contrary to this, if a nation adopts the way of faith and piety and obedience to Divine Commands, instead of disobedience, it benefits it not only in the Hereafter but also in the world; it is favored with every kind of blessing. In Surah Ta Ha it has been said: "And whoever turns away from My Admonition, will have a wretched life in the world, and We shall raise him up blind on the Day of Resurrection." (v. 124). In Surah AI-Ma'idah it has been said: "Had the people of the Book observed the Torah and the Gospel and the other Books which had been sent down by their Lord, abundance of provisions would have been given to them from above and from beneath." (v. 66). In Al-A`raf: "Had the people of the settlements believed and adopted the way of piety, We would have opened on them doors of blessings from the heavens and the earth." (v. 96). In Surah Hud, the Prophet Hud addressed his people, saying: "And O my people, beg forgiveness of your Lord, then turn to Him in penitence, and He will open the gates of heavens for you and add more strength to your present strength." (v. 52). Through the Holy Prophet himself in this very Surah Hud, the people of Makkah have been admonished to the effect: "And you should beg forgiveness of your Lord, then return to Him, and He will provide you with good provisions of life till an appointed term." (v. 3). Acting on this same instruction from the Qur'an, once during a famine Hadrat `Umar came out to invoke Allah for the rain and begged only forgiveness of Him. The people said: "O Commander of the Faithful, you have not prayed for the rain." He replied: "I have knocked at the doors of heaven wherefrom the rain is sent down", and then he recited these verses of Surah Nuh to them. (Ibn Jarir, Ibn Kathir).